We support shipment by "China post mail" for retail ,for the bulk ,we support express.If you need help selecting a fast and reliable shipping company, please contact us direct and we will do our best to help. Return and change is available now. Buyer need to take care return shipping fee. And please contact us first when you want to return or change. All purchases must be returned or changed within 7 days of the receipt of purchase with valid proof of purchase and all tags attached. Worn or altered garments may not be returned or changed. 2013 fashion Jeans Overalls jumpsuit with hat boy Girls Long Trousers free shipping Newest Design!! 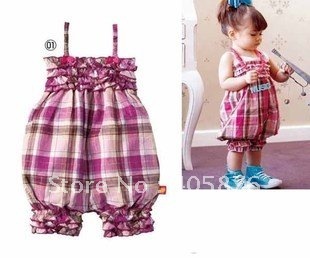 2013 Baby Boys/Girls Overall Jeans with long Trousers, high quality Fashion Kids pants, 7pcs/lot promotion! Children Bib Girls khaki strap shorts.